Monterey pines are relatively rare. 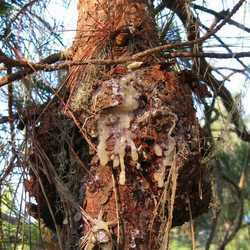 It is estimated that there are between 7,000 and 11,000 acres of native Monterey pine forest in North America. 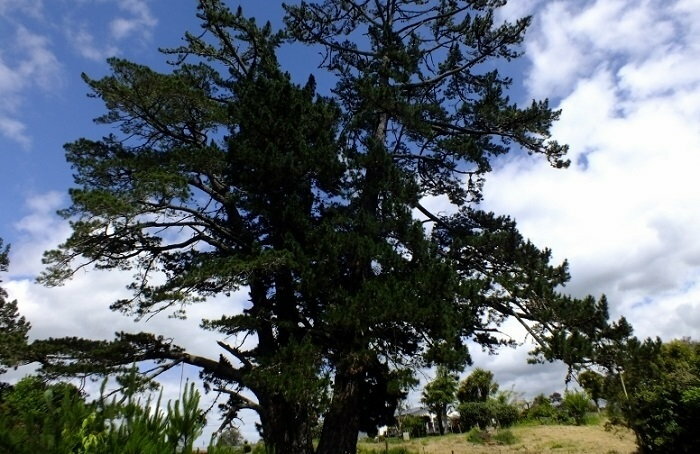 There are three million acres of radiata pine tree plantations in New Zealand. However, Monterey pine and radiata pine are the same thing - Pinus radiata. 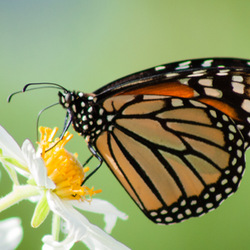 A biological rarity in North America has become worth a fortune in the Southern Hemisphere. The trees were much more widespread during the Pleistocene, but as the climate warmed and dried after the last Ice Age, the natural range of the trees shrank. The California groves are in a mediterranean climate zone, that is, they experience wet winters (typically) and rainless summers. However, the summers are not totally dry. The cool ocean produces much fog and in some regions, fog drip can provide a half inch of precipitation per week. In the wetter areas, Monterey pines give way to redwoods, and in drier areas, chaparral takes over. Monterey pines can be the dominant tree in their region but they share the forest with many other plants, such as coast live oak (Quercus agrifolia), dudleyas, Pacific blackberry (Rubus ursinus), poison oak (Toxicodendron diversilobum), and coastal wood ferns (Dryopteris arguta). A Monterey pine grove can seem almost magical, with the sun streaming through curtains of lace lichens on the trees and with patches of orange amanita mushrooms on the ground. The quiet and observant visitor might also spot wildlife, like mule deer, western gray squirrels, and Steller's jays. 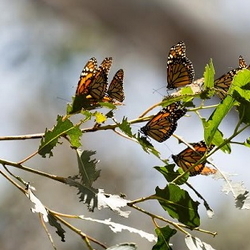 Monterey pine groves also provide wintering sites for monarch butterflies. A few of the rare plants that live in Monterey pine forests include Yadon's rein orchid (Piperia yadonii), Hickman's cinquefoil (Potentilla hickmanii), Monterey spineflower (Chorizanthe pungens), and Monterey clover (Trifolium trichocalyx). 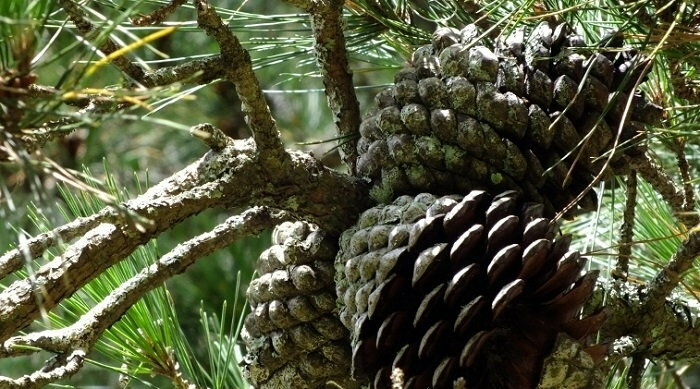 Monterey pine cones are asymmetrical and remain on the tree for several years. They open in response to hot weather or fire. As is true for many California native plants, the seeds germinate more readily after a fire. In the lumber industry, the tree is called radiata pine. Radiata pine is a billion dollar a year industry in New Zealand, where the trees grow ten times faster than native New Zealand trees. They are also important lumber trees in Australia, Chile, Argentina, Uruguay, South Africa, Kenya,and Spain. Plantation-grown trees are straight and tall. In wet, tropical areas without a drought season, the trees will grow year round. The biggest threat to the Southern Hemisphere trees is their lack of genetic variability, which may leave them vulnerable to disease. Nearly all New Zealand and Australia trees are descendants of "Super 80055", an exceptional specimen that at 24 years of age was 2 feet in diameter and 135 feet tall. In the United States, Monterey pines are mainly used commercially as nursery stock and as Christmas trees on tree farms in warmer climates. As a landscaping plant, Monterey pines are typically 80 to 100 feet tall and 24 to 35 feet wide. They can grow 6 feet a year. These shallow-rooted trees are not recommended of windy areas. The recommended growing zones are USDA 8 through 10 or Sunset zones 14-24 and H1. They are not recommended for desert climates. The trees can be killed by heavily smoggy air. Monterey pines have been planted in various botanical gardens in California, but the best place to see them and get a sense of their intrinsic value is in their natural habitat at various state or local parks and preserves in the trees' natural range. The photos in this article were taken at San Simeon State Park, near Cambria. Mary Ann Matthews and Nicole Nedeff, "California's Monterey Pine Forest: Can It Be Saved? ", Fremontia, California Native Plant Society, January 1995, pp. 3-6. Jacob Sigg, "Ecology and Horticulture of California Pines", Fremontia, California Native Plant Society, April 1987, pp. 23-24. Kelli has lived in California for 25 years and really enjoys the climate and all of the varied natural ecosystems. You can also follow Kelli on Google.